Researchers in Rhode Island, on the East Coast of the United States, said this week that they had narrowed a decades-long search for Captain James Cook's HMS Endeavour to "one or two archaeological sites." Portrait of Captain Cook setting out on his voyage. 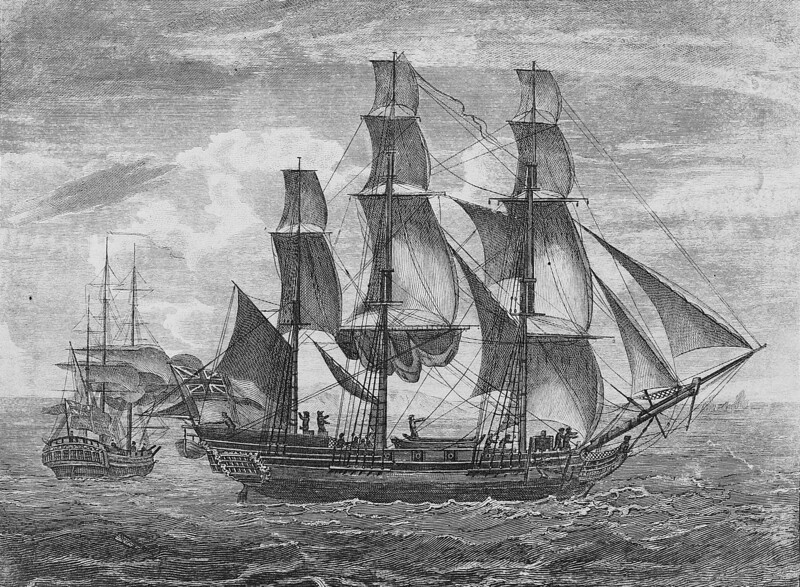 In April 1770, Endeavour became the first ship to reach the east coast of Australia, when Cook went ashore at what is now known as Botany Bay. Endeavour was largely forgotten after her epic voyage and spent the next three years sailing to and from the Falkland Islands. She was sold into private hands in 1775 and later renamed as Lord Sandwich; she was hired as a British troop transport during the American War of Independence. In August 1778 it was scuttled off Rhode Islandby the British Navy with 12 other ships to form a blockade of the Narragansett Bay, but no-one was sure where. Following a 25-year archaeological study of the area, the search has been narrowed to just "one or two" sites. Once records of the transport ships -- including the former Endeavour -- was discovered the 1990s, archaeologists began whittling the number of prospective wreck sites down from 13 to a handful and now finally to one or two. The most promising site is located in an area just off the Goat Island shore, near Gurneys Resort, The Rhode Island Marine Archaeology Project (RIMAP) said. Experts are now hopeful it will be definitively identified by 2020. RIMAP, which has been working with the Australian National Maritime Museum (ANMM), said it would release a "3-D photogrammetric image of a promising site" on Friday.